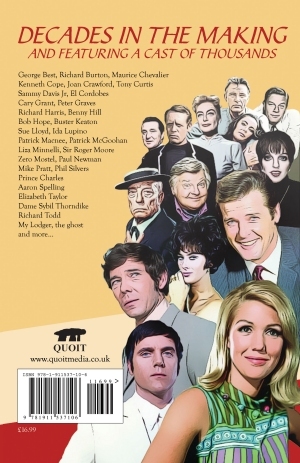 Where Have I Been All My Life is the story of the life of one of British television's most recognisable faces, and features a heartfelt foreword by Sir Roger Moore, and An Appreciation by Kenneth Cope. "A crisply written autobiography which sparkles with anecdotal nuggets of literary gold throughout . The pace and overall delivery delivers from start to finish and leaves the reader with a wealth of perceptive and fascinating knowledge about the entertainment industry which provide the ingredients for an outstanding and informative text. "The beautiful actress Annette Andre has for me created the showbiz memoir of the year , sharp , wistful and yet told in such a brilliant easy manner you will return time and again -From Liz Taylor to Sir Roger Moore and Hollywood stars galore – It’s a life worth reading about and not just once!" "Where has my old friend Annette Andre been all her life? This delightful memoir tells us in honest, amusing, and often moving detail. A difficult childhood in Australia, a starry career in Europe, the highs, the lows, the loves and the love-nots -- all are chronicled, no punches pulled, and all add up to a life in this beautifully written page-turner." Barry Creyton, Actor, playright, director. "This book is interesting, giving behind the scenes looks at the world of show business and what it takes to make it. I love the laugh out loud moments as well as the thoughtful reflections on many parts of her journey." 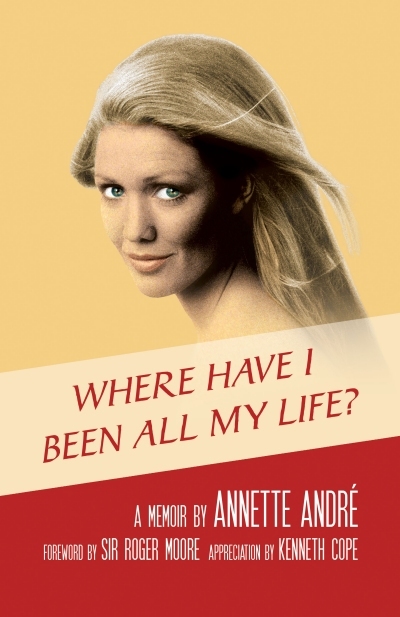 "Annette Andre’s memoir is a vibrant tapestry, woven of eloquent and engaging words that—in equal measure--inspire, intrigue and entice." Karl Frunz, Glass in Hand Productions, Seattle, WA. Click below to order, depending on your location - UK for the UK, EUR for anywhere in Europe, USA/ROW for anywhere in the Americas, Africa, Asia, or Australasia.